This entry was posted in Bloggy stuff., Comics., D.J. Versus THE WORLD., Hyping., Writing. 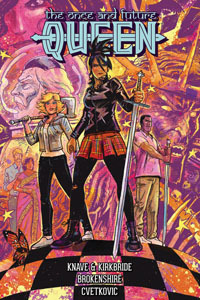 and tagged Comics., DARK HORSE COMICS, the once and future queen by D.J.. Bookmark the permalink.